Air Force photo by Staff Sgt. 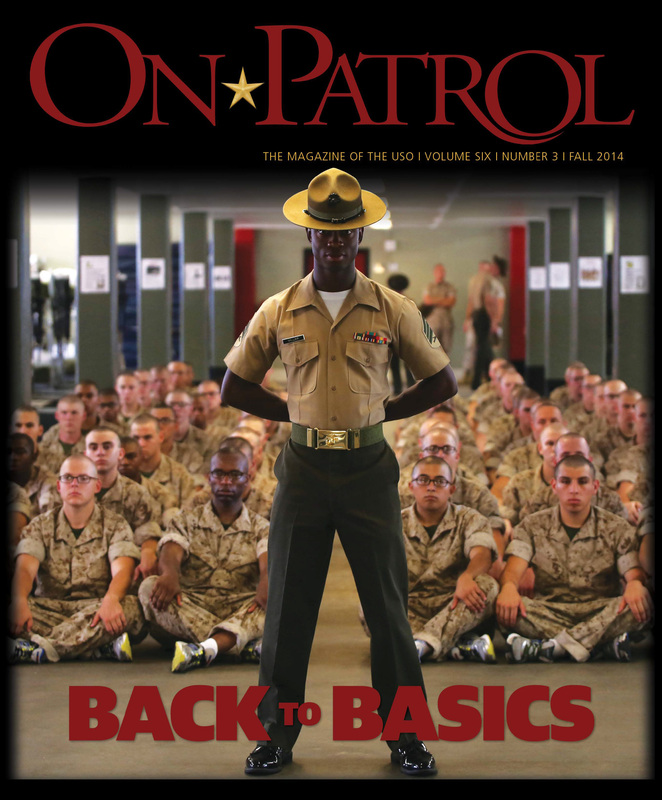 Vernon Young Jr.
Our military can’t effectively and efficiently do its job without first learning the basics. Stories about transitioning from recruit to warrior, how families handle frequent moves and how caregivers support their wounded, ill and injured service members, provide a look at some of the most important basics. Americans understand some of the lifelong issues many wounded warriors face, but the plight of their caregivers is still something few outside the veteran community understand. Most people believe that unless you’ve served, or plan to serve in the Corps, you will never be able to experience Marine Corps Recruit Training. For educators, that's not the case. The learning curve is steep at the Joint Culinary Center of Excellence (JCCoE) on Fort Lee, Virginia, where future military cooks go to learn how to feed hungry service members. Sometimes service members are called to deploy within days of learning they’re heading off to a dangerous location to defend American freedom. Others volunteer for assignments without knowing what their mission will be, whom they’ll serve with or what role they’ll fill. The moment Air Force recruits set foot on Lackland Air Force Base, Texas, 'it’s like stepping off into a bubble' for the next 8-plus weeks. Stronger Families share three ways to prepare for obstacles and strengthen relationships before, during and after deployment. What's it like to be woman at Army boot camp? A former soldier explains how training alongside men gave her confidence and made her feel like part of the team. Since 2002, Toby Keith has provided more than 250,000 troops with a touch of home through performances in 17 countries, including Iraq and Afghanistan, and several ships at sea. NFL players Pierre Garcon, Jimmy Graham and Brandon Fields visited more than 1,800 troops in Afghanistan and the United Arab Emirates during a USO/NFL Tour in early March. A permanent change of stations happens, on average, every three years for service members and their families. And, like most things in life, what you get out of it mostly relies on what you put into it. Going to Navy boot camp as a 32-year-old recruit has its advantages, but there's also a downside: Being picked to lead a team of stressed-out teenagers. One day after the assault on the U.S. naval base at Pearl Harbor, Hawaii, President Franklin Roosevelt made an impassioned seven-minute speech before a joint session of Congress. Three days after the attack, the United States had its first World War II hero. In addition to saying goodbye to friends and family and preparing for dangerous missions in foreign lands or treacherous waters, deploying troops are given the unenviable task of getting their legal, personal and financial documents in order before they leave for duty.